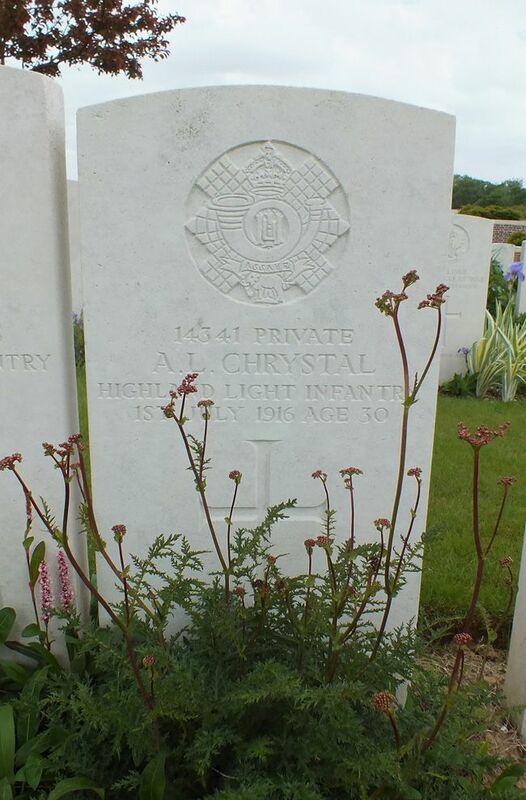 Additional Information: Son of the late Mr. and Mrs. Robert Chrystal. Born at Glasgow. 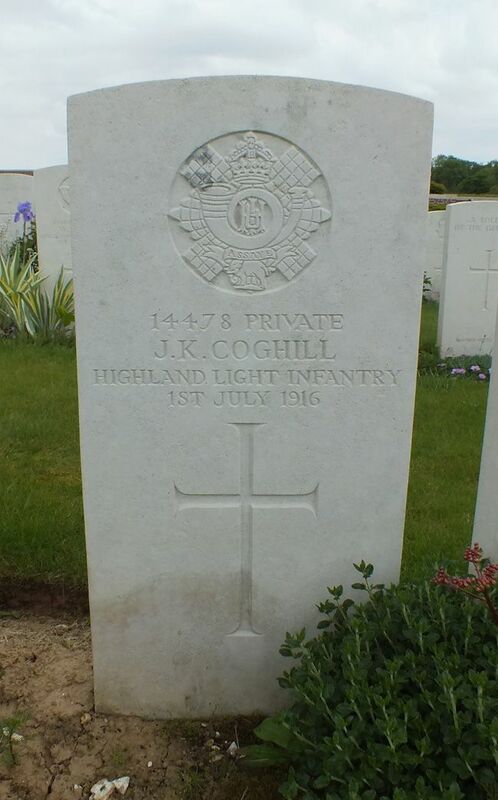 Regiment/Service: Highland Light Infantry "D" Coy. 16th Bn. Grave Reference: IV. D. 3. 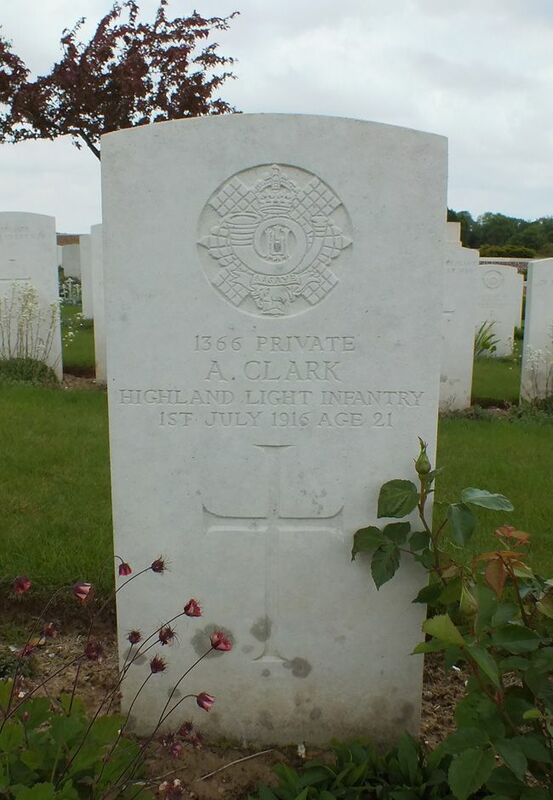 Additional Information: Son of Allan and Isabella Clark, of 133, Finlay Drive, Dennistoun, Glasgow. Grave Reference: VI. J. 2. 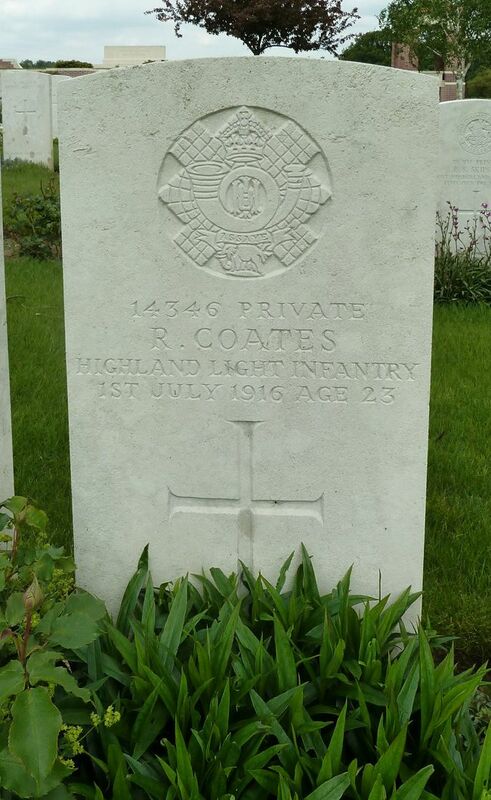 Additional Information: Son of James and Christina Coates, of Glasgow. Grave Reference: V. H. 4. 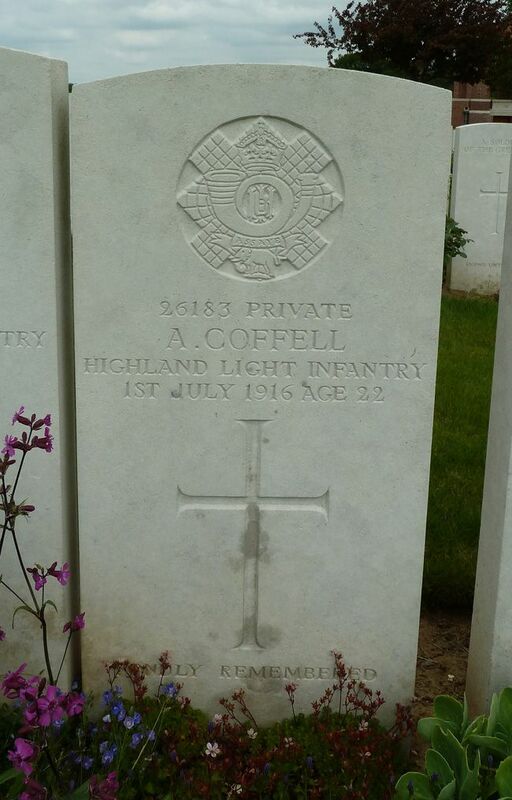 Additional Information: Son of Alexander and Elizabeth Coffell, of 47, Harmony Row, Govan, Glasgow. Grave Reference: IV. C. 7. Grave Reference: IV. 1. 4. 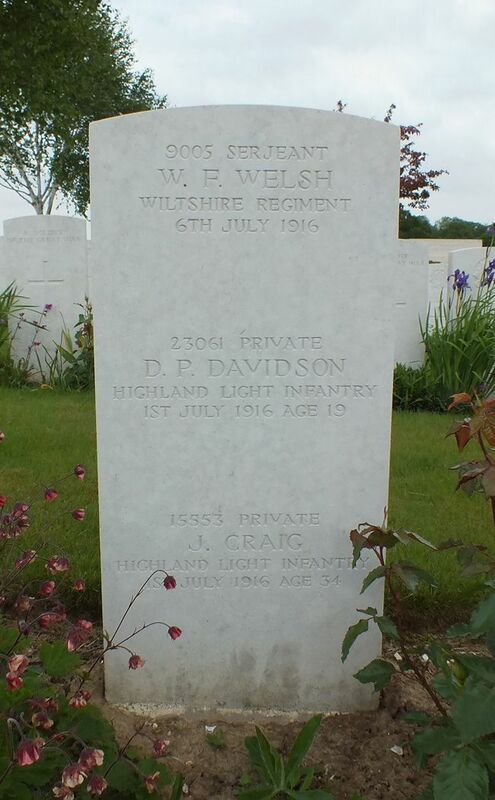 Additional Information: Place of birth Douglas Lanarkshire (SNWM). Grave Reference: V. H. 5. 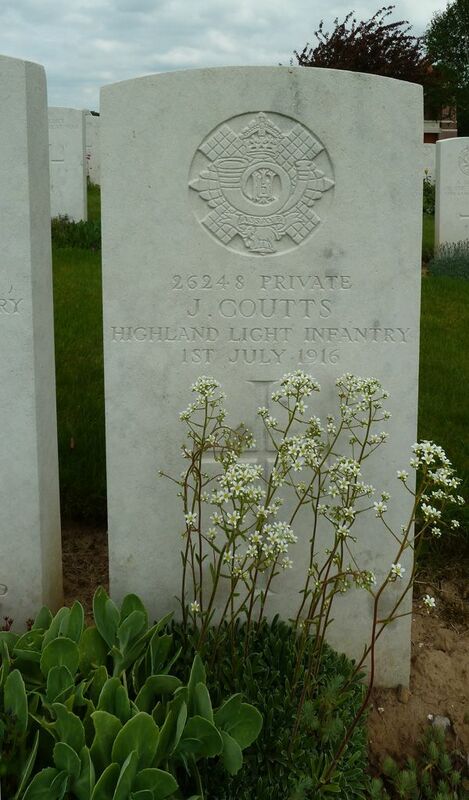 Additional Information: Brother of Miss Annie Coutts, of 24, Hayburn Crescent, Partick, Glasgow. 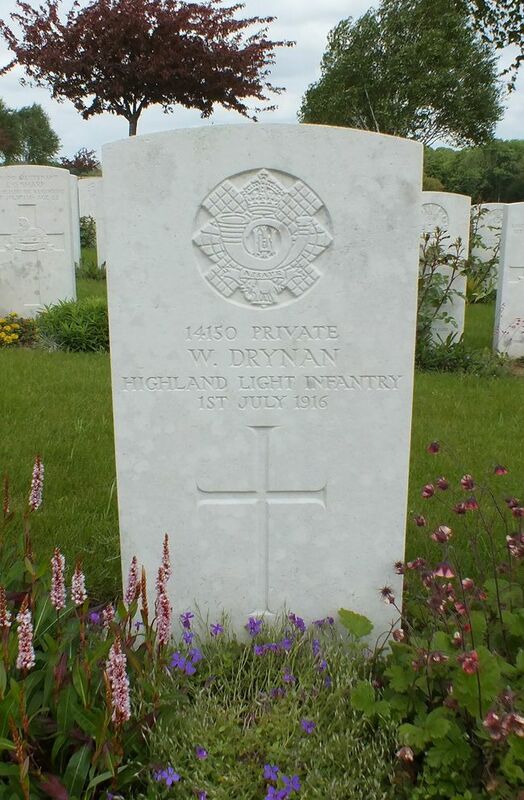 Regiment/Service: Highland Light Infantry "D" Coy. 17th Bn. Grave Reference: III. F. 7. 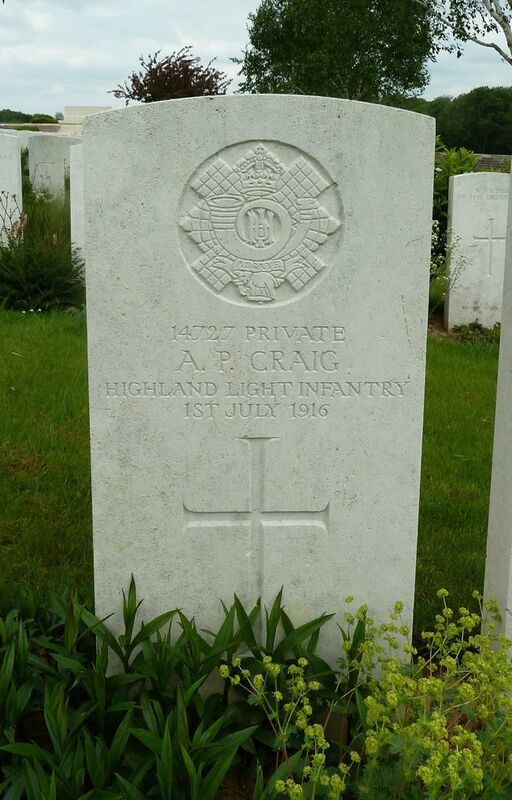 Additional Information: Son of David E. and Janet Craig, of Glasgow. 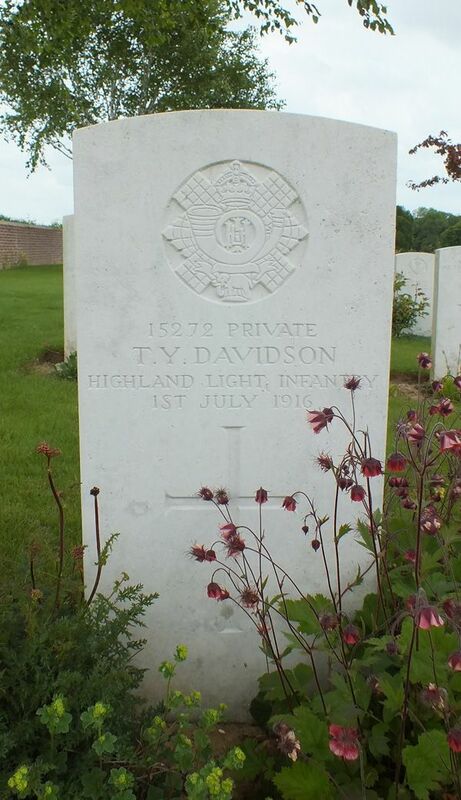 Additional Information: Son of John and Martha Davidson, of "Invereck," Prestwick, Ayrshire. Grave Reference: III. D. 2. Grave Reference: III. T. 2. 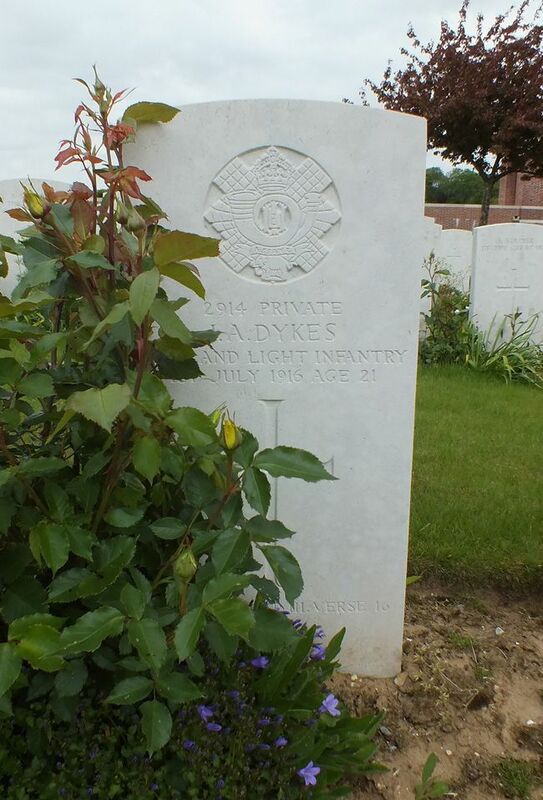 Additional Information: Son of John J. B. and Susan Stewart Denton, of 32, Kelvinside Avenue, Maryhill, Glasgow. Grave Reference: III. C. 9. 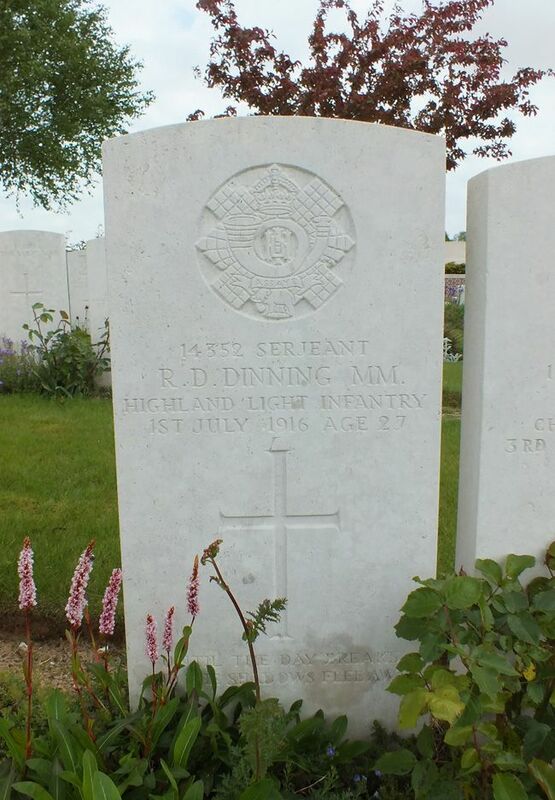 Additional Information: Son of James Dinning, of 3, Alexander St., Sandyford, Glasgow. Grave Reference: X. F. 5. 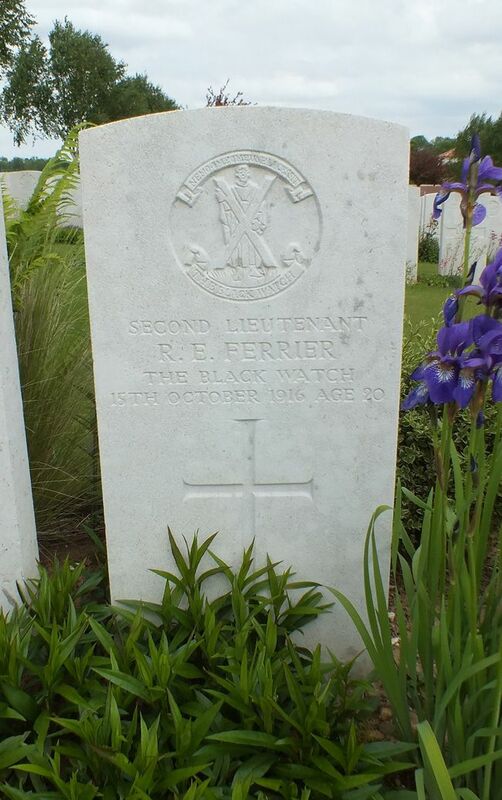 Grave Reference: V. F. 4. 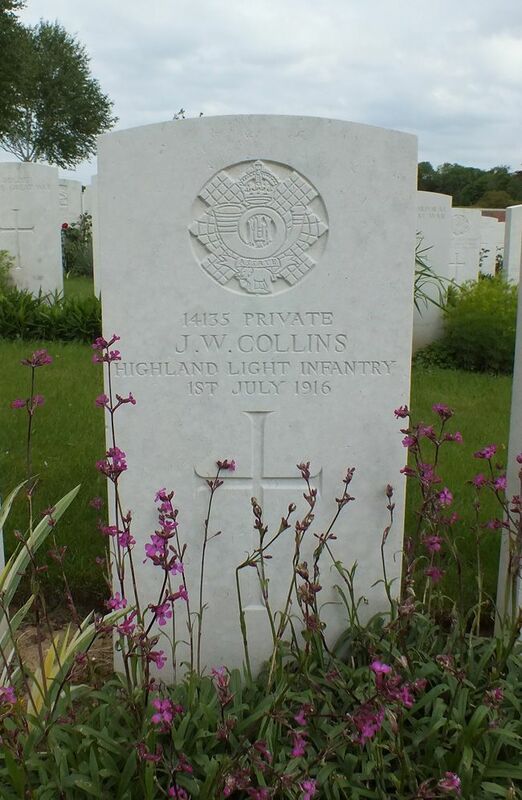 Additional Information: Son of William Alfred and Elizabeth Irvine Dykes, of 56, Earlspark Avenue, Newlands, Glasgow. Grave Reference: VIII. A. 3. 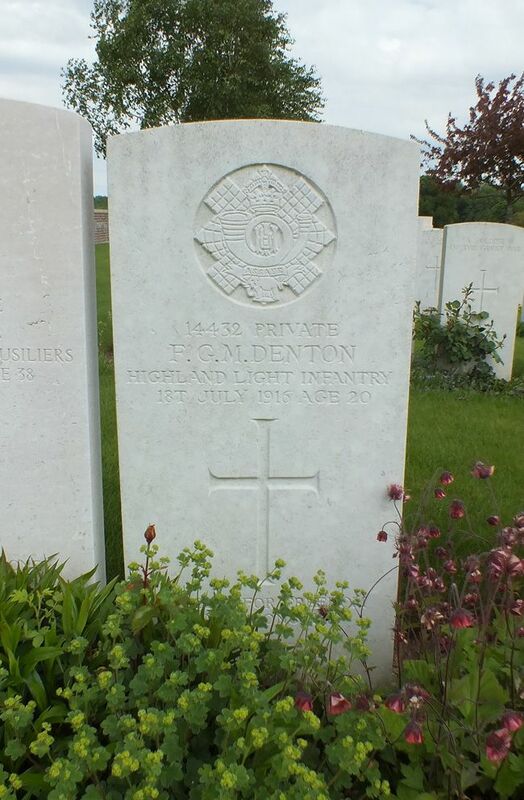 Additional Information: Son of David and Margaret Ferrier (nee Glenday), of Youngsdale Place, Newport, Fife.